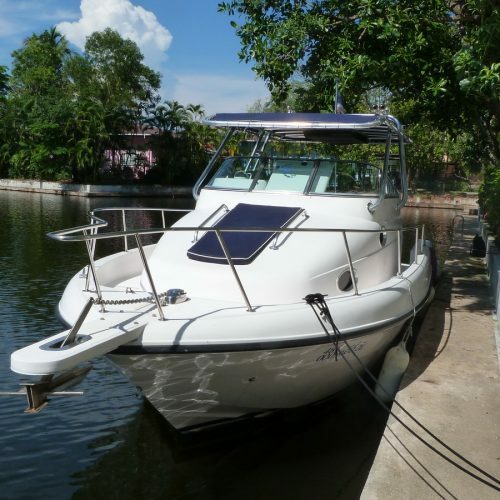 This Gulf Craft 31 Walkaround is one of the few examples available with the single Volvo KAD44DP inboard diesel engine. 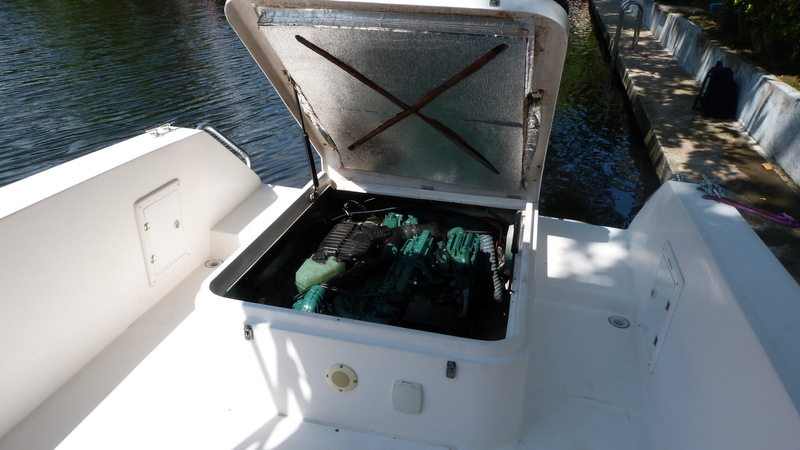 The engine has been meticulously cared for by the local dealer and the sterndrive was replaced two years ago. 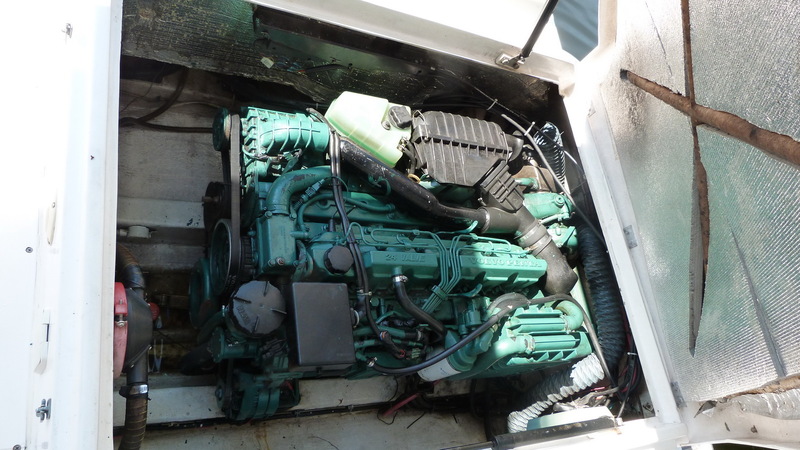 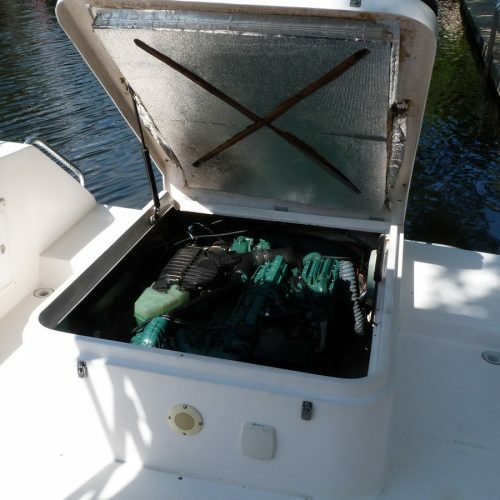 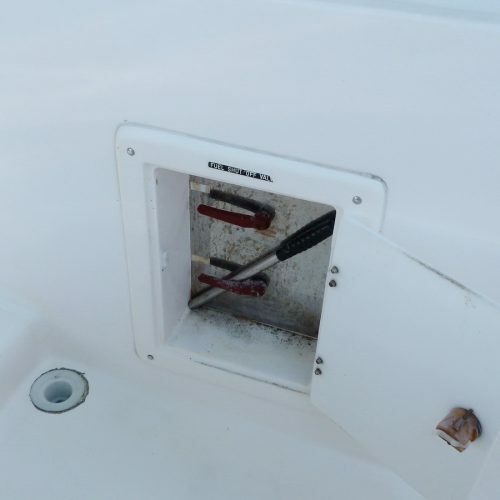 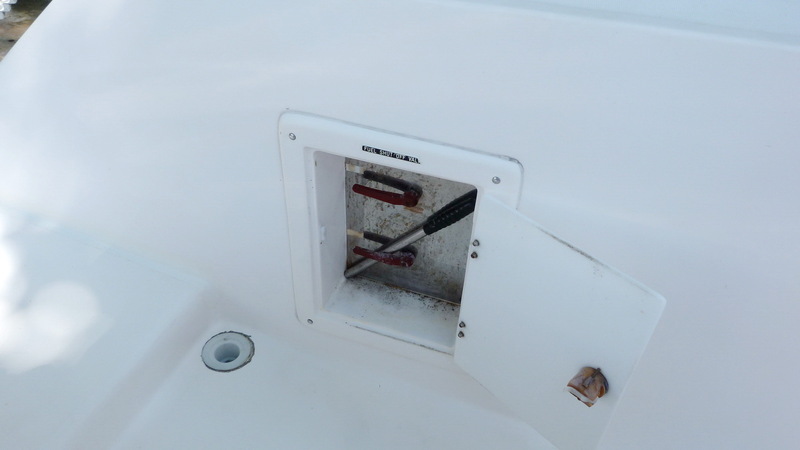 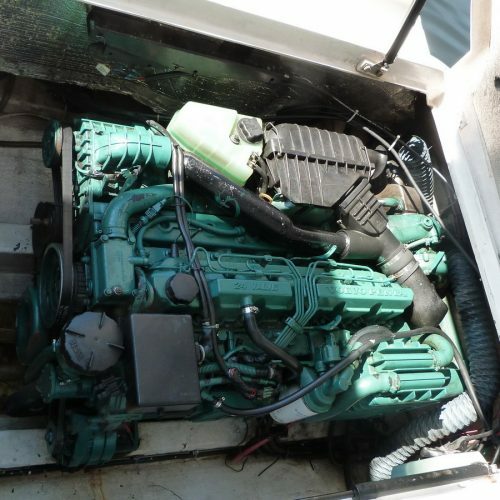 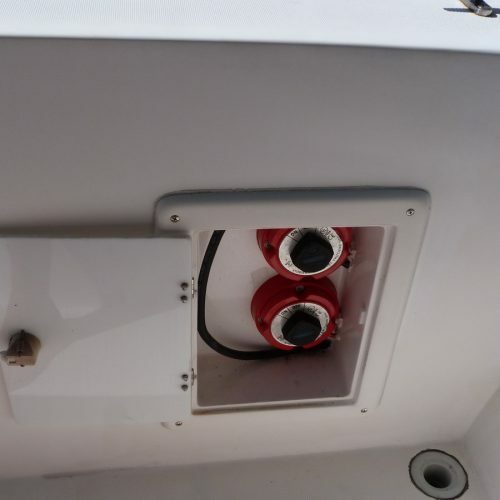 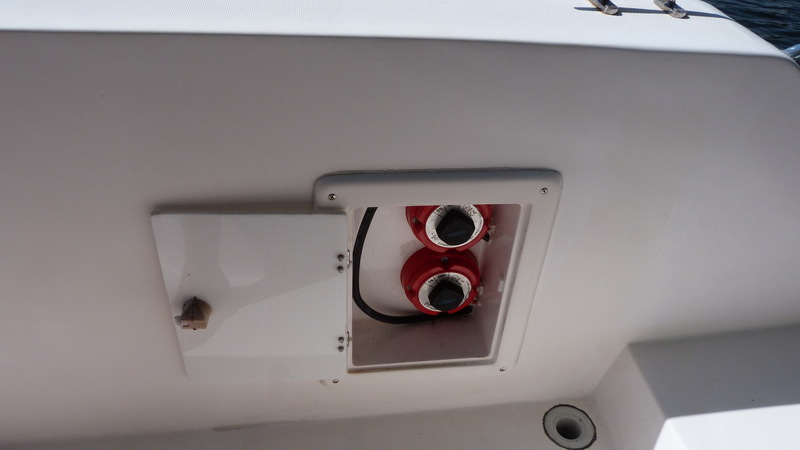 The engine cover is fitted with a sun lounge and there are three rod holders and a small platform aft. 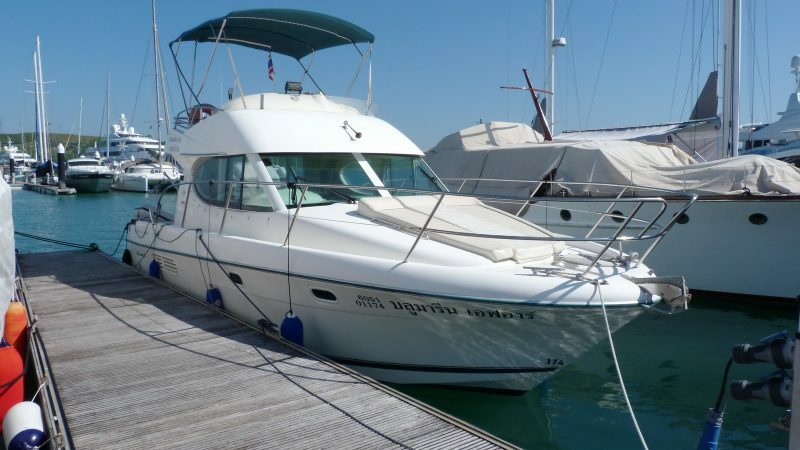 With a top speed of 35 knots and a 25 knot cruising speed it is ideal for getting you out to the quieter islands and the best fishing and diving spots with ease. 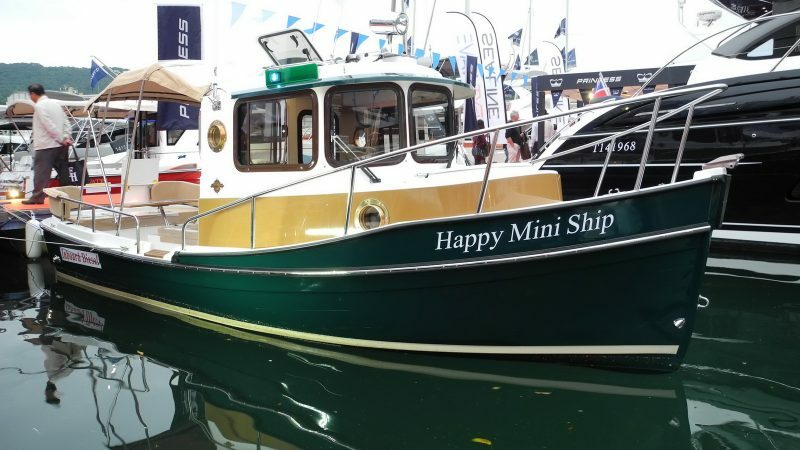 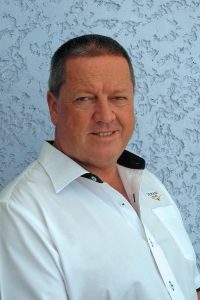 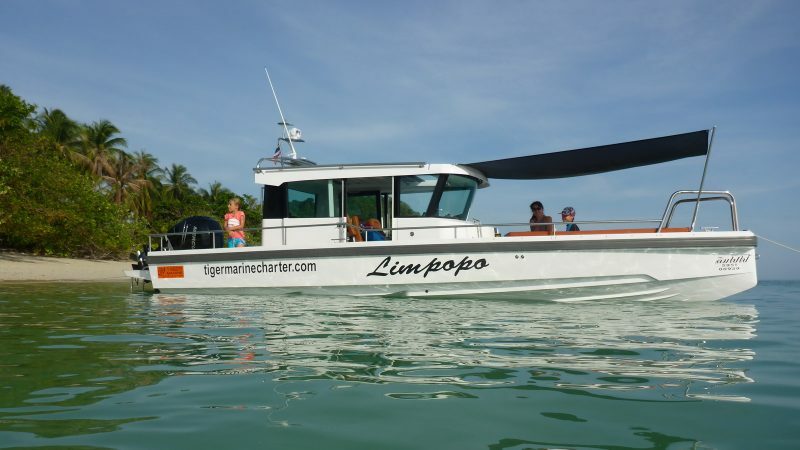 It is fitted with a chartplotter and VHF radio, electric flush toilet, pressurised water system, electric windlass and Lenco trim tabs. 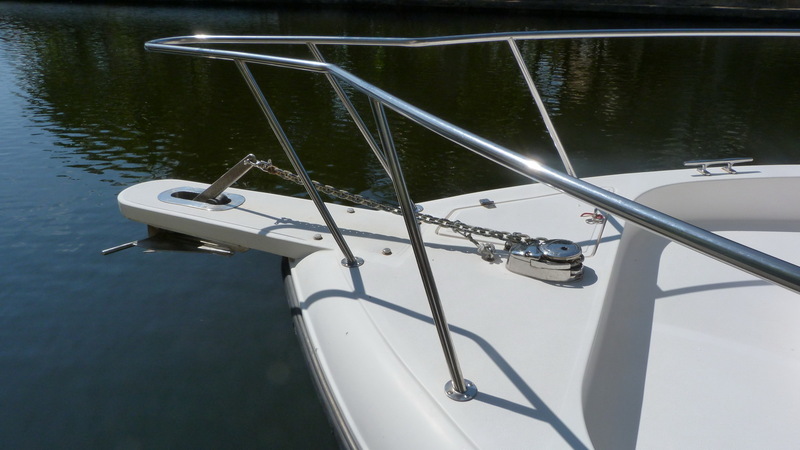 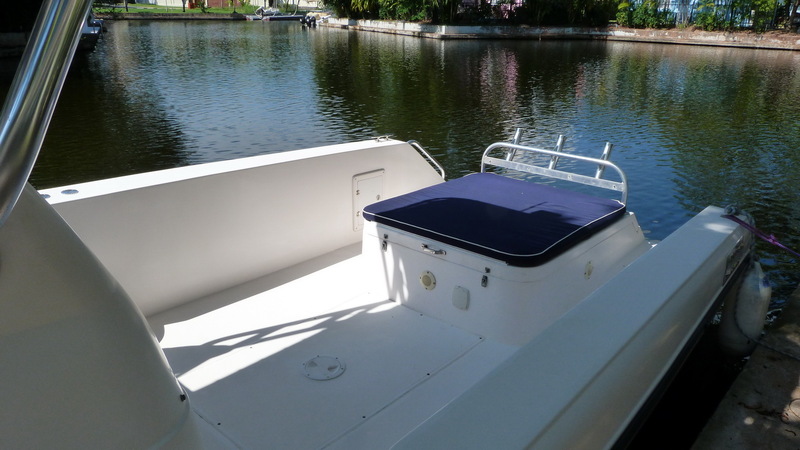 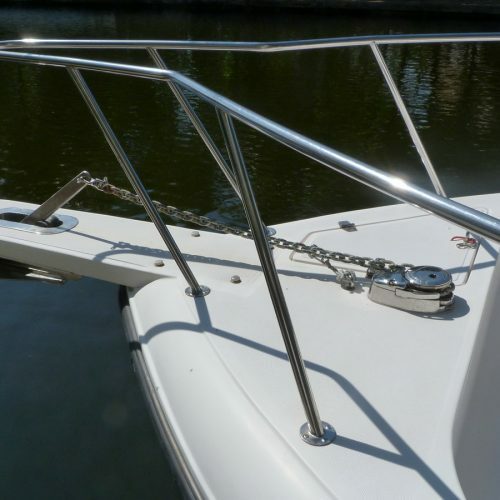 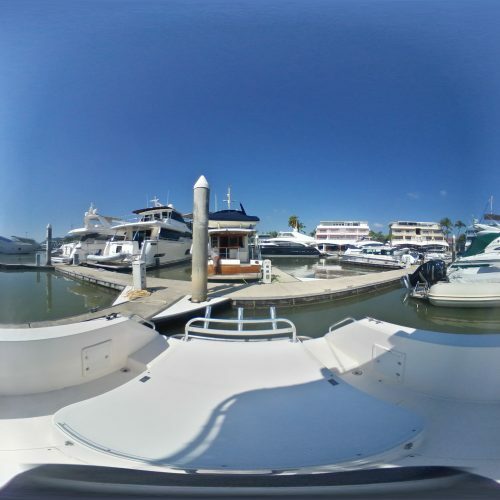 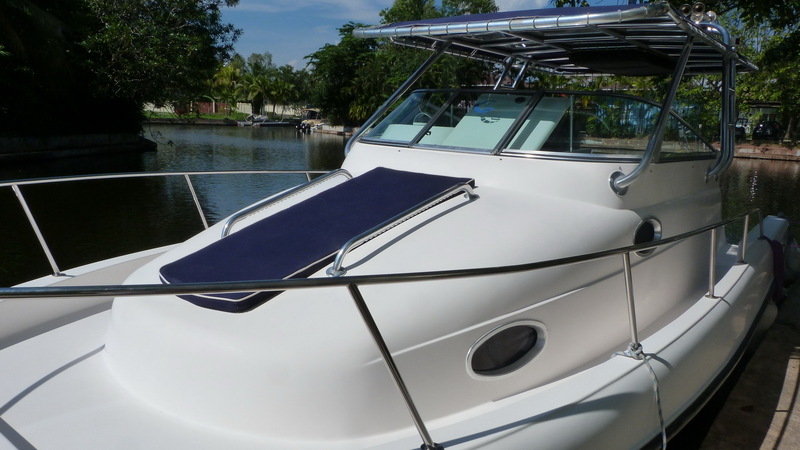 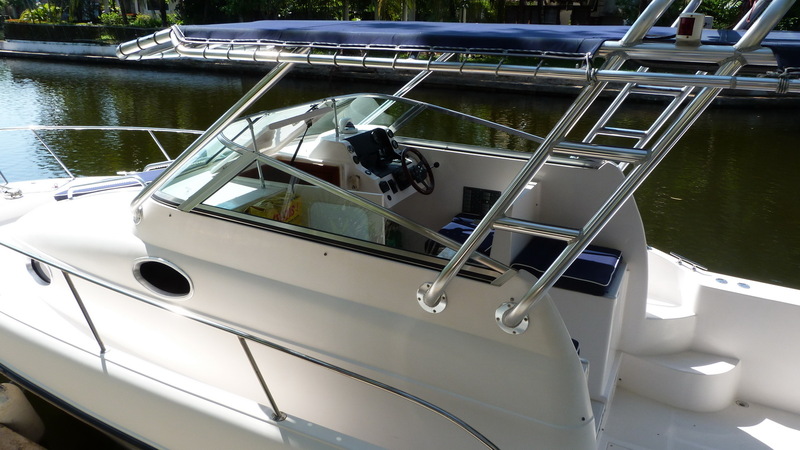 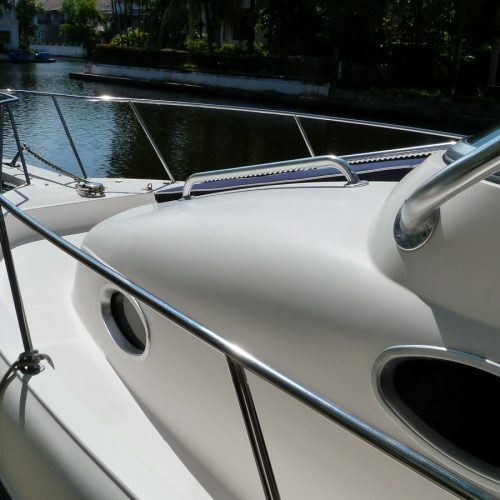 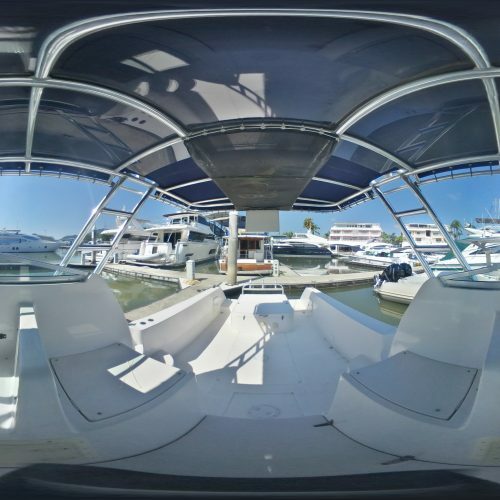 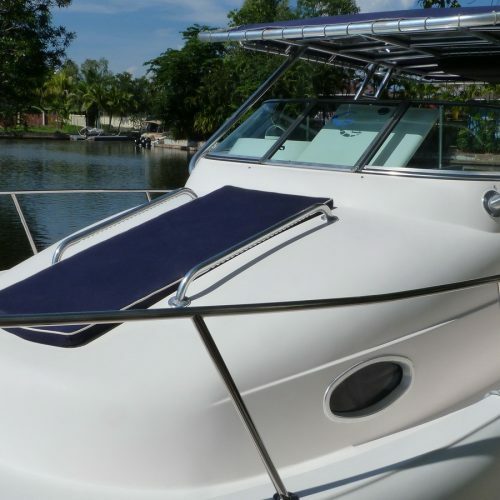 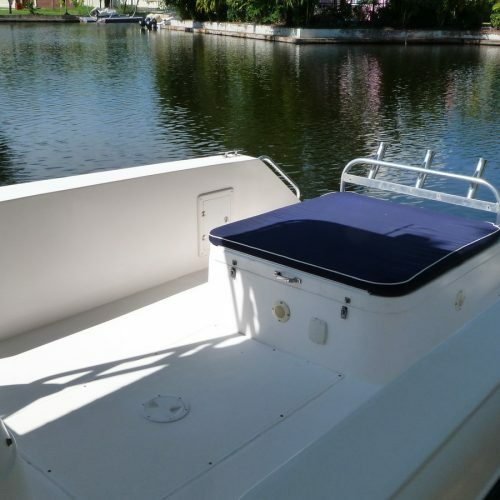 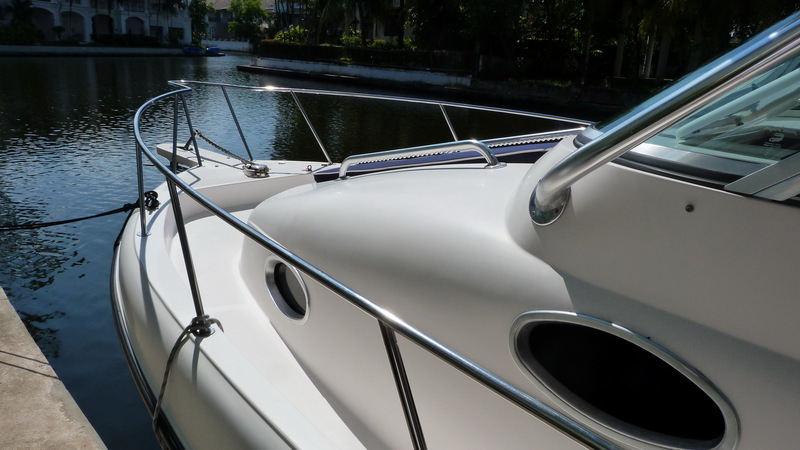 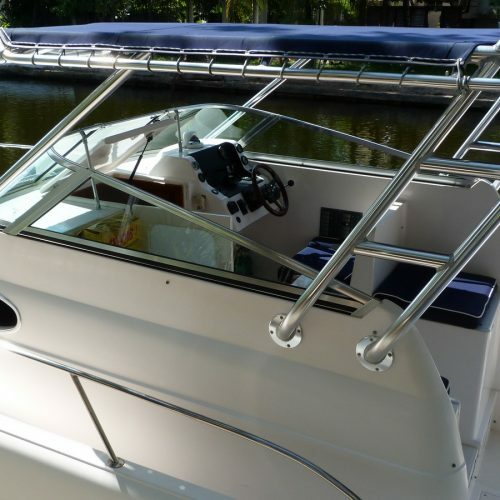 The helm is protected by a large bimini with seating for four people with ice boxes below the aft seats and a good size storage compartment in the centre below the floor. 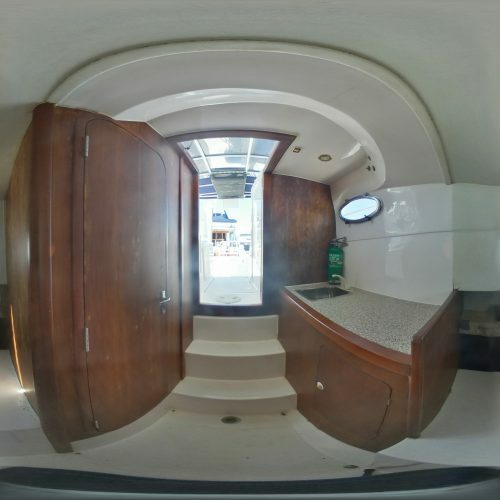 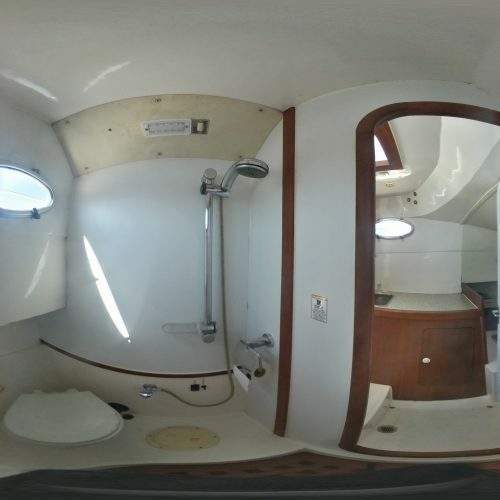 There is a good size double cabin with a head and shower forward art of the helm station with a hand held shower. 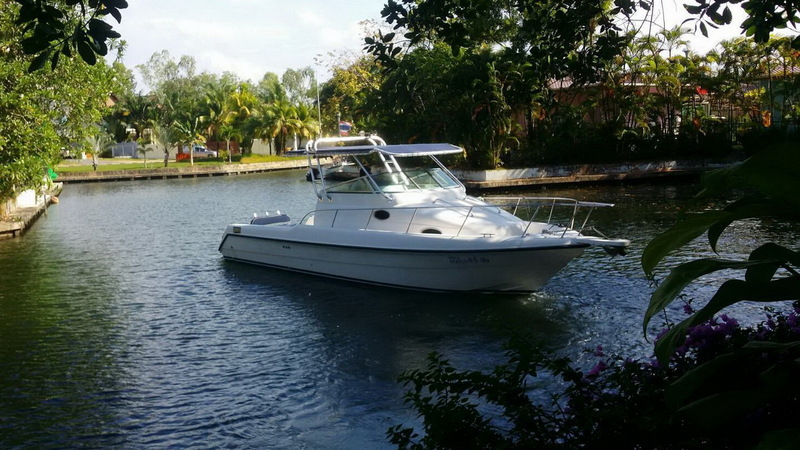 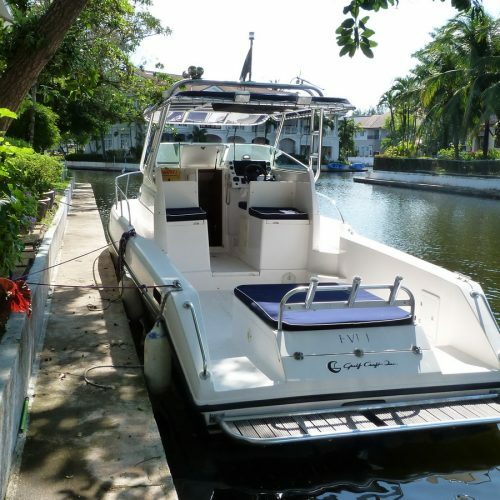 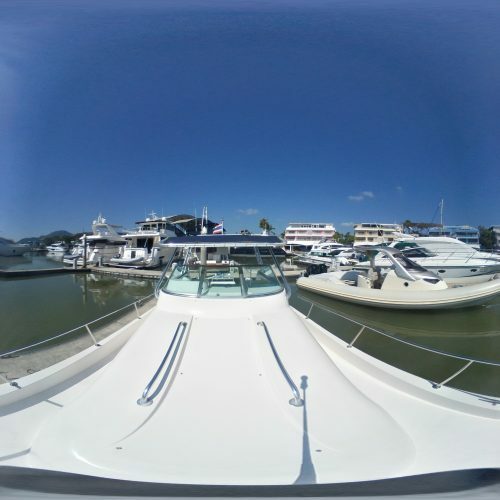 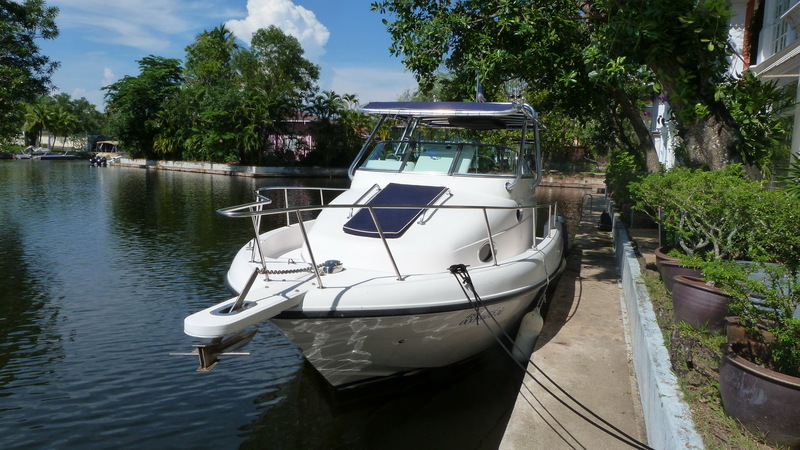 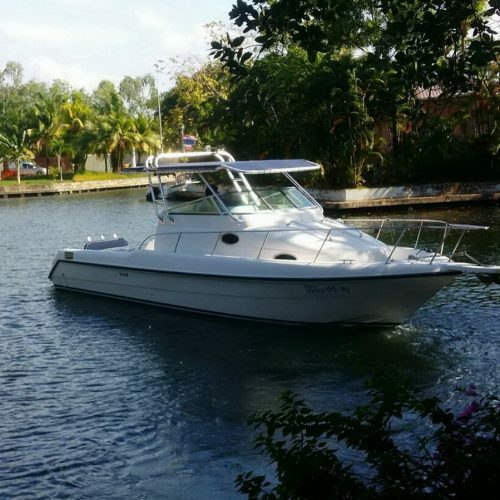 This Gulf Craft 31 Walkaround is an ideal platform for fishing, diving or simply exploring the islands around Phuket. 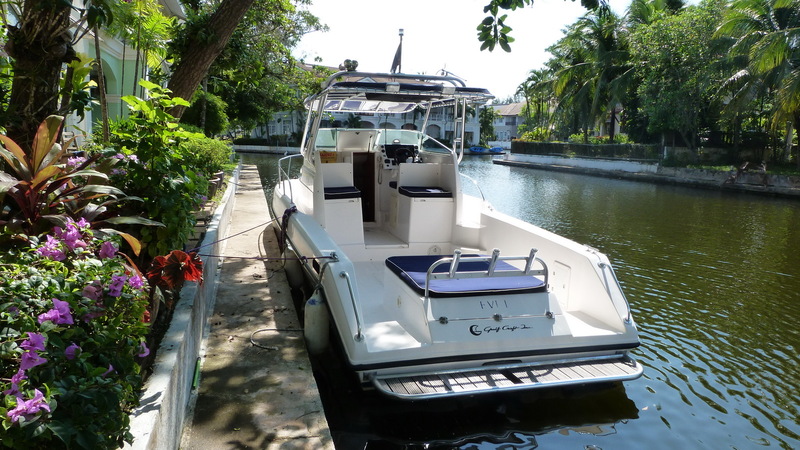 The single inboard diesel is both reliable and economical but still able to cruise easily at 25 knots.